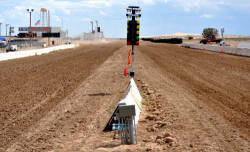 Due to racer demand, the Thunder Valley Sand Drags crew is working on the track surface to try to run the Show-Me Fall Nationals on Saturday. This race will not count towards the Mid-America Sand Drag Series points championship. Unfortunately NSDN’s travel plans were cancelled when the event cancellation was announced Thursday night, so there will be no coverage from this event. 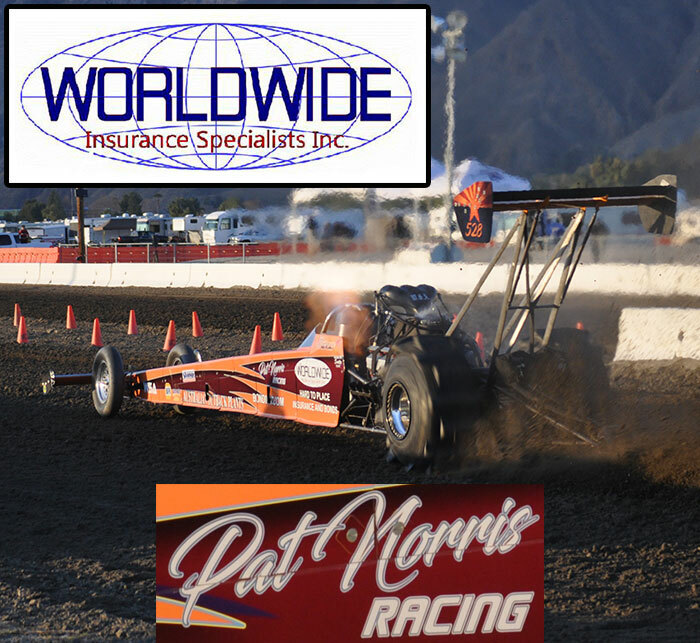 SCSDA will be holding their third event of the 2013 race season at the Soboba Casino in San Jacinto, CA on October 4-6. This event "Racin' For A Cure" will raise funds for charity. There will be a Powder Puff class open to Ladies Only. Documents regarding the Powder Puff class are listed below. Read on for full race info. The Dirt 300 @ NAPA Speedway in Albuquerque, NM hosted the 3rd Annual Quick 32 event in late August. This event was held at the new NAPA Speedway location for The Dirt 300. Charlie Fegan and his crew have built a top notch permanent sand drag facility alongside the Oval Tracks & Road Course at this Motorsports Complex. The heavy dirt led to some great bracket racing with the best from Texas, New Mexico, and Colorado doing battle. Read on for the full recap and photo galleries. Thunder Valley Sand Drags in Grain Valley, MO held their annual B.A.D. Nationals in late June. Chamber of Commerce weather greeted racers at the Kansas City area track for this event, which was also Race 2 of the 2013 Mid-America Sand Drag Series schedule. Read on for the race recap and photo galleries from this race. The Pro Sand Drags Association (PSDA) made their first trip to Michigan in late June for the “Mayhem in the Mitten” event in Mears, MI. PSDA runs an ATV-only (or Motorcycle-powered vehicles) format at their events with a mix of Heads-Up, Index, and Bracket racing classes over the course of three days. This event was Race 2 of their 2013 season after starting off the year with the Gator Nationals in Gilbert, Louisiana. Racers from as far away as Louisiana, Florida, and Missouri made the long haul to take part in this event. The Pro Sand Drags Association (PSDA) held their third event of the 2013 season over Labor Day Weekend at the Leerjak Off Road Ranch in Patterson, MO. This ATV-only event saw some great racing action starting with Test and Tune on Thursday/Friday into Index/Limited Heads-Up Eliminations on Saturday. Unfortunately, the Unlimited Heads-Up & Bracket classes were rained out on Sunday. Read on for full results from Saturday’s action at this event. Atoka Motorsports Park in Atoka, OK is excited to present their Fall Fest event on October 11-12. This race will be the Season Finale for the Mid-America Sand Drag Series as well as their own track point series. So, there will be multiple championships up for grabs at this event. Another attraction at this event will be the addition of the PTN 3.5 Index class. With the addition of PTN support this should be another great Oklahoma race. Read on to view full race details for this event.